Crucial delivers the M500 SSD - 960GB for just $600! 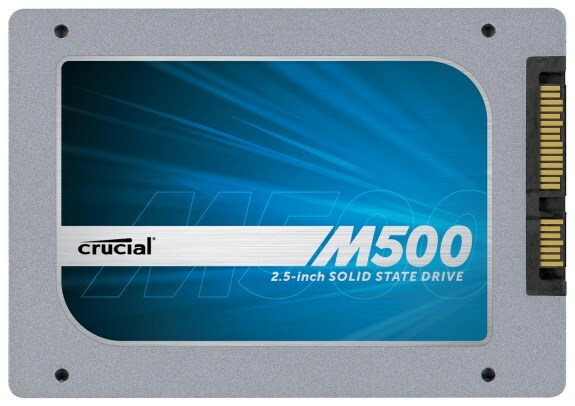 Crucial and Micron introduce the M500, a new line of solid state disks available in 2.5", MSATA and M2 (for ultrabooks) form factors. These new disks use the Marvell 88SS9187 SD controller and 20nm MLC NAND flash memory produced by IMFT, a joint venture between Intel and Micron. The M500 series will be available in 120GB, 240GB, 480GB and 960GB capacities. The 120GB and 240GB variants will be available for all three form factors, the 480GB model is only for mSATA and 2.5" SSDs and the 960GB version is exclusively for the 2.5" form factor. Each disk has a maximum read speed of 500MB/s, while the write speed depends on the storage capacity. The 120GB model has a 130MB/s write speed, the 240GB version does 250MB/s and the other two have a max write speed of 400MB/s. The 120GB model has a random 4k write performance of 35,000 IOPS, this climbs to 60,000 for the 240GB model and 80,000 for the 480GB and 960GB variants. Crucial says the 960GB M500 SSD will ship for less than $600, which translates to less than 63 cents per gigabyte! Micron Technology, Inc., today introduced the M500 solid state drive (SSD), featuring terabyte-class capacity, new ultra-slim package designs, and increased response times at a more affordable price point. Available to consumers, businesses, and system builders under the Crucial brand, and to OEM customers under the Micron® brand, the new M500 SSD is built start-to-finish by Micron, providing the quality and reliability that only a NAND flash memory and SSD manufacturer can provide. Watch this behind-the-scenes video to see how Micron designs and builds SSDs. The M500 SSD utilizes Micron’s award-winning, 20-nanometer (nm) multilevel cell (MLC) NAND flash to achieve terabyte-class capacity and enable a new level of SSD price competitiveness; the 960GB Crucial M500 SSD will be initially priced under $600. Micron’s advanced NAND flash technology also provides more storage in a small footprint. Micron is the first manufacturer to pack nearly half a terabyte of storage onto an SSD module the size of a stick of gum (80mm x 22mm). This new form factor, called M.2, along with the mSATA form factor, are key designs for current and next-generation ultrathin computers, including Ultrabook™ devices, tablets and convertible PCs. Visit micron.com/ultrathin to discover how Micron SSDs can transform the ultrathin experience. Dramatically faster than a hard drive, the M500 SSD enables lightning fast boot-up, near instant wake from sleep, and fast application loading, creating a dynamic and engaging computing experience. The M500 SSD uses a SATA 6Gb/s controller combined with Micron’s custom firmware to deliver up to 80,000 input/output operations per second (IOPS). The drive’s sequential read and write speeds reach up to 500 MB/s and 400 MB/s, respectively. The M500 SSD incorporates extended features important to ultrathin systems, such as device sleep (DEVSLP), which increases system battery life while maintaining system responsiveness. This feature enables the drive to draw less than 5 milliwatts of power while the system is in sleep mode— a 93% power improvement compared to previous-generation drives. The Crucial M500 SSD is backed by a three-year limited warranty and is compatible with both PC and Mac® systems. The 2.5-inch drive will be available in 120GB, 240GB, 480GB and 960GB capacities. The smaller M.2 and mSATA form factors will be available in 120GB, 240GB and 480GB capacities. The 2.5-inch Crucial M500 SSD is expected to be available for purchase in the first quarter of 2013 through select global channel partners or direct through www.crucial.com. 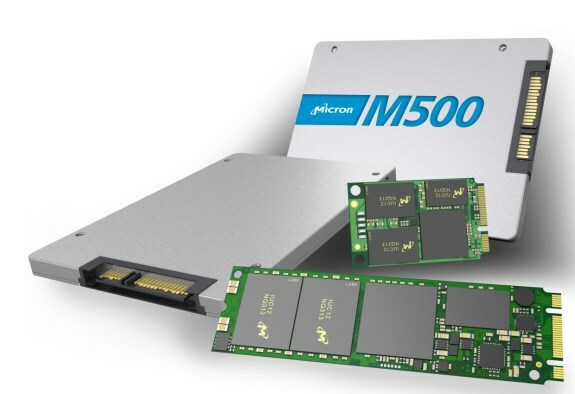 Micron will sell the M500 SSD direct to OEMs and through their distribution network. The M.2 and mSATA form factors are expected in the second quarter of 2013.